The Susan G. Komen® credit card offers excellent cash back rewards, a signup bonus, and a 0% introductory rate. Most importantly, using the card helps support the Susan G. Komen’s fight to find a cure for breast cancer. When I first learned of this card, I assumed it would be a plain vanilla card with no rewards. After all, Bank of America has promised to contribute millions of dollars to Susan G. Komen. How much could be left for rewards? 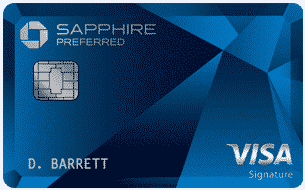 To my surprise, the card offers a $100 signup bonus, up to 3% cash back, and a 0% introductory rate on purchases and balance transfers. And it manages all of this without charging an annual fee. From June 2015 through December 2020, Bank of America is guaranteeing to Susan G. Komen® $3.0 million in conjunction with its Pink Ribbon Banking credit card and checking program. Susan G. Komen® has received more than $6.0 million from Bank of America from this program since 2009. There are four components of the Susan G. Komen® rewards program: (1) the $100 bonus; (2) 3% cash back; (3) 2% cash back; and (4) 1% cash back. 1. $100 Bonus: New card members earn a $100 bonus when they spend at least $500 on the card in the first 90 days of account opening. 2. 3% Cash Back: The card pays 3% cash back on gas purchases. There is a spending cap, however, as you’ll see below. 3. 2% Cash Back: Earn 2% cash back at grocery stories. As noted above, there is a cap. Both the 3% cash back on gas and 2% cash back at grocery stores are subject to a spending cap of $1,500 every quarter. Once the spending cap is reached in combined purchases of gas and at grocery stores, you’ll earn 1% on additional purchases through the end of the quarter. 4. 1% Cash Back: On all purchases that fall outside the above reward levels you will earn 1% cash back with no spending tiers or caps. The card offers a 0% introductory rate for 12 months on purchases and for any balance transfer initiated in the first 60 days. Note that there is a 3% fee (minimum $10) on balance transfers.